Let us guide you to success on #GivingTuesday! Giving Tuesday provides the ultimate platform to allow consumers to showcase their generosity and desire to bring about real change in their communities. It not only encourages the donation of resources, but also time and talent to address critical needs in local areas. 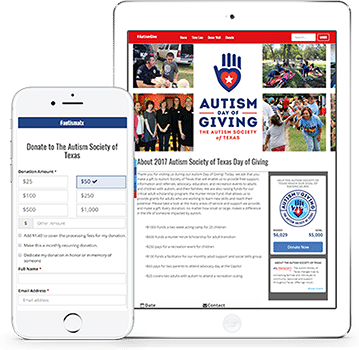 Download the ultimate 2019 #GivingTuesday guide to make this year your nonprofit’s best yet! Entering its seventh year, #GivingTuesday is a global day of giving fueled by the power of social media, collaboration and YOU. 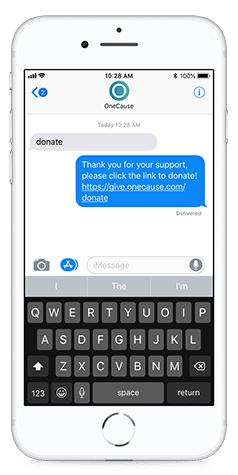 Easily collect donations for year-end fundraising or year-round with the OneCause Online Giving Solution or Text2Give®.